The deadly H5N1 virus claims its first victim in Iraq while Africa girds itself for a battle against a new pandemic. 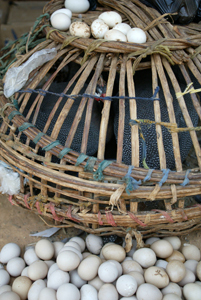 Live guinea fowl and eggs for sale in a market outside Kano, NigeriaAt the end of January has come news the world was dreading—a preliminary positive report from a US Navy medical laboratory in Cairo of the first death of a person from avian fly in Iraq, a country fighting an insurgency and perhaps in the early stages of civil war. The victim, a girl from Iraq’s Kurdistan region, died two weeks ago in a household that had sick birds; an uncle of hers died later with similar symptoms. With four confirmed deaths of people from avian flu in neighbouring Turkey, where the victims also became infected from sick birds, the fear is that this lethal virus could mutate into a form that can pass from human to human, rather than bird to human as it is normally transmitted now, provoking a flu epidemic that could kill millions of people in a short space of time. While the fear of avian influenza is keeping some African farmers watchful for sick birds in their flocks, most smallholders are too poor and are facing too many other risks to pay much attention to this flu threat as of yet. African governments, however, are readying themselves. This January, 140 experts from 43 African countries met in Congo’s Brazzaville to draft a blueprint for tackling an outbreak in the world’s poorest continent, already battling AIDS and tuberculosis. There are fears that avian influenza could spread to the continent via populations of migrating wild birds now residing in eastern Africa to escape the European winter, with the peak of migration being January to March. 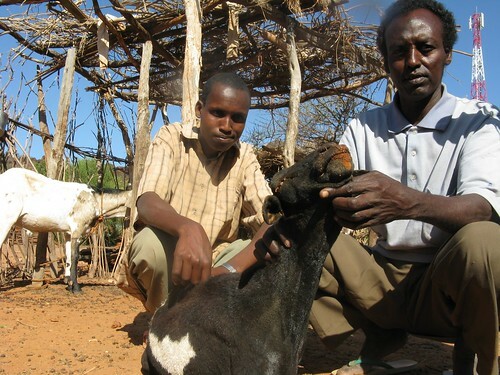 An outbreak of the lethal H5N1 virus anywhere in Africa’s Horn could spell disaster. 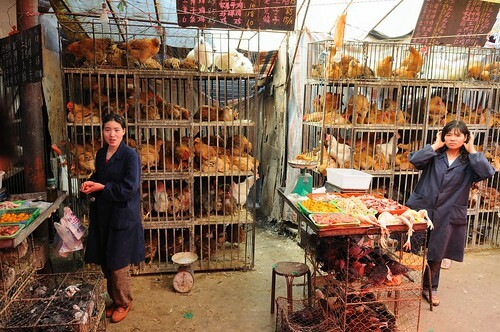 More than three-quarters of the people in this region farm for a living and almost all households outside cities keep some chickens. Existing high rates of mortality among domestic birds here will make it hard to detect the virus. Unaware of the risks, villagers would tend to eat birds showing symptoms of the disease. And few African governments would have the resources to pay for culling bird populations and compensating farmers for their losses. Avian influenza has not been detected in Kenya or any other African country yet. 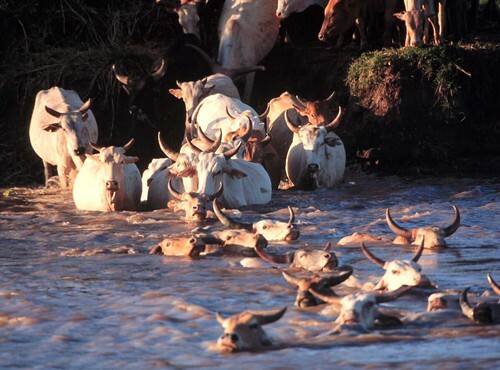 Kenya is close to completing a National Preparedness Plan after a series of weekly meetings by experts, including ILRI immunologist David Mwangi, which started late last year. Kenya has formed a National Avian Influenza Secretariat hosted by the Ministry of Health (MOH) and manned by that Ministry and the Directorate of Veterinary Services (DVS). Dr Mwangi participated in an Avian Influenza National Taskforce meeting in early January, where Kenya’s six-level response system was outlined. Kenya is now in Alert Phase I, which involves surveillance, laboratory support, infection control measures, case management, preparedness and communication and education. A Cabinet paper has been submitted to request funds from the Kenyan Government for this Task Force and donor funds are being sought. 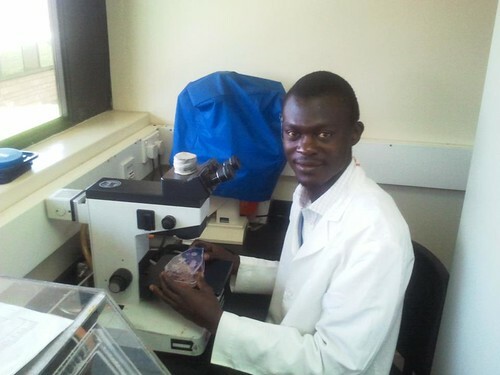 Activities are being conducted now using the limited budgets of the MOH, DVS, Kenyan Museums (whose ornithologists are helping to check wild bird populations for diseased or dead birds), and an office of the US Centers for Disease Control (CDC), whose laboratories at the Kenya Medical Research Institute (KEMRI) include a Biosafety Level-3 Laboratory, the only kind in the country capable of carrying out diagnosis of avian influenza in conjunction with a CDC laboratory in Egypt. Kenya’s frontline national laboratories, KEMRI and DVS, have joined hands in this fight with the Kenya Agricultural Research Institute (KARI) and ILRI to form sub-committees responsible for various work. 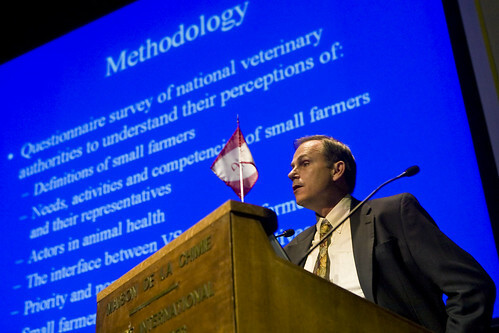 ILRI is represented on the coordination and resource mobilization team; the surveillance and monitoring team, which are exploiting ILRI’s expertise in epidemiology and geographic information systems; and laboratory support, particularly diagnosis and DNA sequencing and database work. 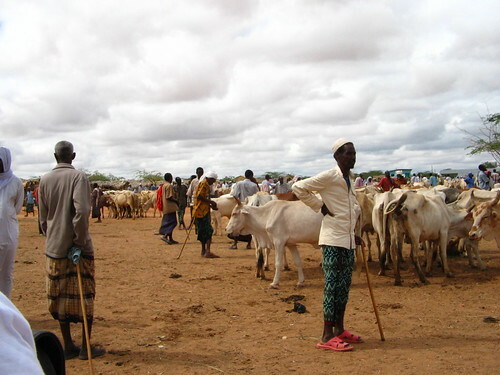 To read more about ILRI and Kenya plans and activities on this task force, read ‘Bird flu threat still hovers over Kenya’ in the Sunday Nation, 15 January 2005. The good news is that so far the bird flu virus has remained hard for people to catch. Most human cases acquired their infection during the home slaughtering and subsequent handling (defeathering and eviscerating) of diseased or dead birds before cooking them. The bad news is that in Africa as in Asia, birds are often marketed live, with home slaughtering common, increasing the risk of human infections in areas with outbreaks in poultry. Those buying poultry meat, however, are in no danger because chickens and other poultry are safe to eat if cooked properly. With the continuing spread of avian flu beyond its stronghold in Asia, it is clear that combating the disease requires a long-term, internationally coordinated and well-funded effort. That’s why it is good news that donor and international health organizations meeting in Beijing January 17 and 18 pledged US$1.9 billion over the next 3 years to fight bird flu. About $1 billion will be disbursed as grants, the rest as loans. The donors of this massive new program—which include the European Union, United States and World Bank—have set up an Avian Influenza Multidonor Financing Framework to coordinate it. Read a CGIAR news release and briefing on how the threat of avian flu impacts the developing world.